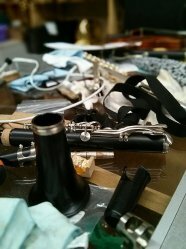 Enumclaw Music offers repair service for your musical instruments. We have both in-house and specialized shop services to provide the best care for your instrument. FREE repairs on all Enumclaw Music instrument rentals when you select our Maintenance and Repair Agreement. We guarantee all of our repairs and treat your instrument as if it were our own! Bring your instrument in for an estimate.